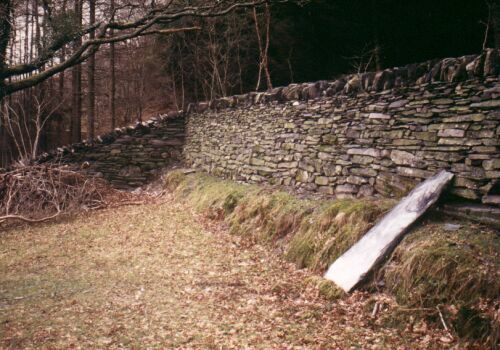 Garden work has ranged from short sections of wall, such as this slate wall in Bethesda (left), or around this car-park come boules court in Penisarwaun (right) which included a clawdd. 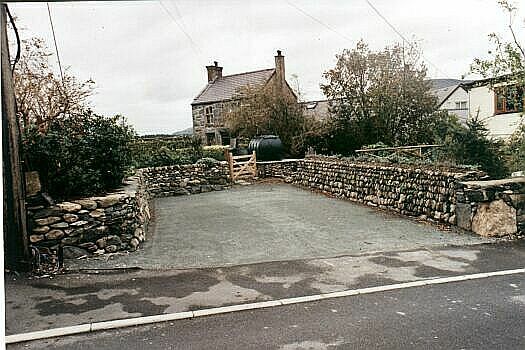 Through landscaping companies such as Tuinbouw clients have included former world champion formula 1 racing driver Damon Hill, converting a swimming pool into a sunken garden (right). Through Briony Roberts I worked on the BBC Garden at the Hampton Court Flower Show in 1996. Through Blakedown Landscapes my most grandiose scheme to date has been Catesby House near Daventry.